The country's largest car maker Maruti Suzuki India on Wednesday reported a marginal decline in sales at 1,64,369 units in July. The company had sold 1,65,346 units in July last year, Maruti Suzuki India (MSI) said in a statement. Domestic sales were up marginally at 1,54,150 units last month as against 1,54,001 units in the year-ago month, it added. Sales of mini cars comprising Alto and WagonR were at 37,710 units as compared to 42,310 units in July last year, down 10.9 per cent. 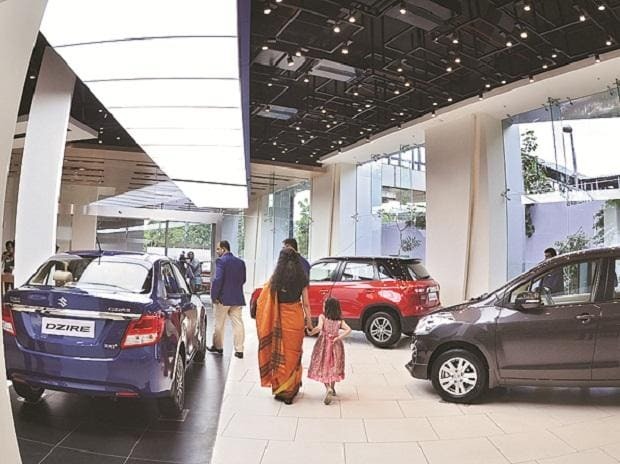 However, sales of compact segment, including models such as Swift, Celerio, Ignis, Baleno and Dzire, were up 17.8 per cent at 74,373 units as against 63,116 units in July last year, the company said. Mid-sized sedan Ciaz sold just 48 units as compared to 6,377 units in the same month a year ago. Utility vehicles, including Vitara Brezza, S-Cross and Ertiga were down 4.9 per cent at 24,505 units as compared to 25,781 units in the year-ago month, MSI said. Exports in July were also down by 9.9 per cent at 10,219 units as against 11,345 units in the corresponding month last year, the company said.